We’ve written two WooCommerce Order Export plugins and both have some pretty similar features. For both the WooCommerce Order / Customer CSV exporter and the WooCommerce Customer / Order XML Export suite, users can export customer and order data directly from WooCommerce that’s ready to send of to drop-shippers, accounting software, and other sources. One of the best features about each of these plugins is ability to automatically export orders on a schedule via FTP or HTTP POST. Since we’ve added this functionality to these plugins, customers have enjoyed automating this part of their store management, and can even upload exported orders to another server via FTP. We’re happy to share that we’ve recently made automatic CSV and XML exports even better! Two big new options have been added to each the CSV and XML exports in the most recent release. Both plugins have now added the ability to email exported orders, as well as to set an export starting time for scheduled exports. 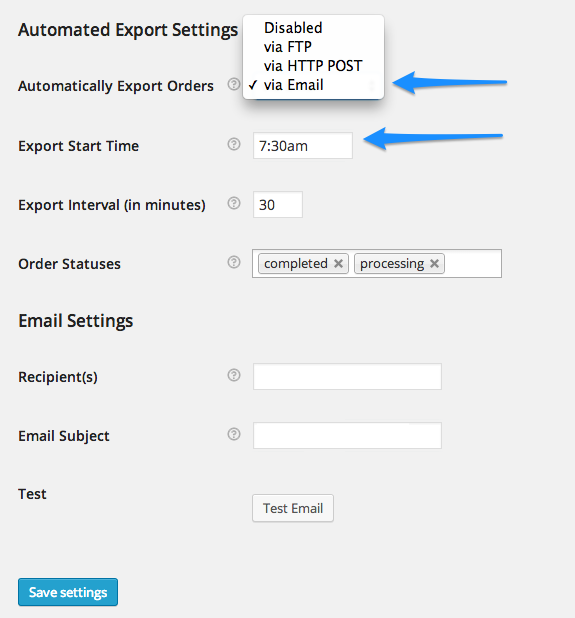 Email exports will accept a list of emails to which the plugins will automatically send exported orders on schedule as well as an email subject. 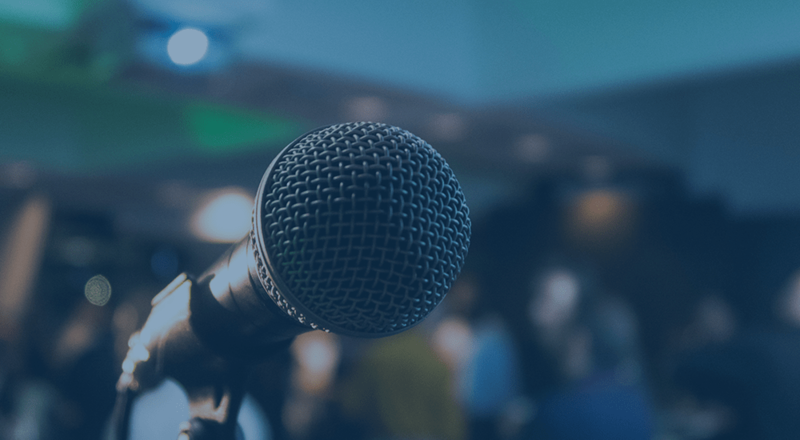 Many customers have requested this feature, as it makes it easier for them to simply get an email and decide what to do with the export, or to email exported orders directly to a drop shipper. Automatic export schedules can now have a customized starting time. For some customers, the interval between exports didn’t provide enough control over the store management process. Now you can set a time for exports to begin when configuring the plugin, then exports will start at the selected time. The most common usage case for this was for daily exports. You can now select the starting time, set your interval to one day (1440 minutes), and customize when you’ll receive the order exports for your store. Our hope is that these improved export tools and control will make your store management even easier with WooCommerce 🙂 .